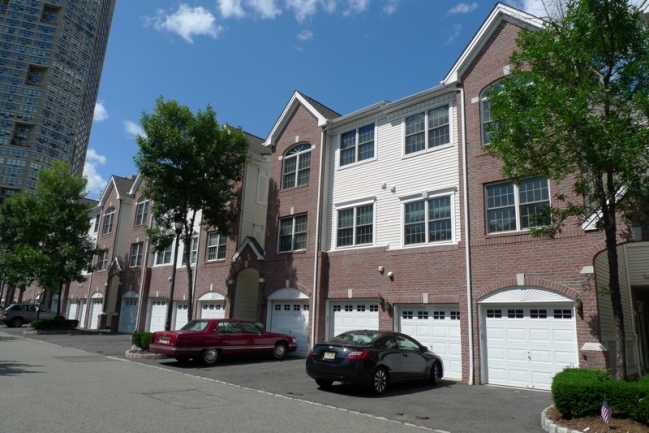 Have you caught up on the Hudson County real estate market yet? There’s an easy way to get all the information you need about this dynamic and exciting area. Simply read the Hudson County Market Report. We send one out every week with key details about the state of this area’s market. Here’s a quick recap for you: high demand and low inventory continue to create a seller’s market in Hoboken! The average sales value is around $867,297, a 9.42% increase over this time last year. 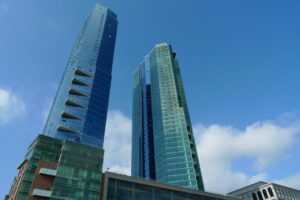 In addition, now is a great time to invest in or purchase a condo in Jersey City as the average sales value dipped by about 5.41% over this time last year. If you’re thinking of selling your Hudson County condo, a great way to get ready for it is by doing research! Below, you’ll find the most expensive sold listings from July 2018. How does your home compare? Located on downtown Garden Street, near to the PATH and overlooking Church Square Park, this extraordinary 32 feet wide, 4150 sf duplex offers unparalleled space and sweeping vistas from floor-to-ceiling east/west facing windows. Built by Red Bridge, the local boutique builder, this expansive open-plan design creates an entertainer’s paradise. This incredible home features lofty living spaces, dining area with built-ins, three/four spacious bedrooms, three full baths, and gourmet kitchen with top-of-the-line appliances, including Sub-Zero refrigerator, Miele dishwasher, Wolf cook top and convection oven with range hood; Porcelanosa and Anne Sacks tile, stunning wide-plank hardwood flooring, marble countertops, Grohe, Toto and Waterworks fixtures. Crowned by a lushly planted rooftop deck with outdoor kitchen, large screen tv and a wonderful view of New York, the park and the streets below, this home is truly one of a kind! The home’s striking interior is sustained by state-of-the-art mechanicals: high-efficiency heating and cooling, LED lighting, low-flow plumbing, storm-water management and a host of other green initiatives, including the green roof..
Rare to Market 3 bed 2 bath featuring panoramic skyline views of NYC, Jersey City, and the Hudson Bay in Jersey City’s premier building 77 Hudson. Special features include: touch screen A/V system that controls music (ceiling speakers in every room), lighting (35 recessed lights and sconces), motorized blinds (master bedroom), and thermostats. 77 Hudson’s curtain glass wall allows unobstructed views & extraordinary light w/ ultra sleek European kitchen & baths. 44k SqFt of amenities incl. pool, hot tub, grill area, fire pit, gym, yoga, massage, steam rooms, sauna & more. Architecturally sophisticated in its ultra-modern design and enclosed by walls of glass, the sleek interior is enhanced by dramatic nine-foot ceilings, and the finest finishes. Oversized living and dining areas, a stunning chef’s kitchen (with European cabinetry, granite counters and professional-grade GE Monogram appliances), and effortless flow to an expansive terrace encourage lavish entertaining. Three bedrooms and three and one half baths are highlighted by the master suite with private terrace and sensational marble bath. 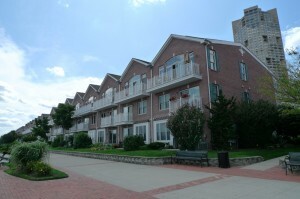 Luxury waterfront townhouse, approximately 4,000 square feet, 4 levels of living space with private elevator. New York skyline and river views with balcony on each floor. Harbor place residence at Jacobs Ferry, with a unique and highly sought-after layout. Featuring stunning master suite with jacuzzi & glass walk-in shower. Second bedroom suite with private bath. Top floor offers a 3rd bedroom with private bath and additional living room. RARE opportunity to own a Soho style TRUE Loft on the Cliffs of Union City overlooking Manhattan Skyline. Elegantly appointed modern amenities fused w/ exceptional & authentic features throughout. HUGE Open Space w/ original warehouse details such as metal doors, wood beams & exposed brick walls. Gourmet kitchen w/ big island & cherrywood cabinets w/ granite & SS appliances. Magnificent Master Bed w/ enormous walk-in closet complemented by a master bath w/ X large shower, infinity tub & heated floor. 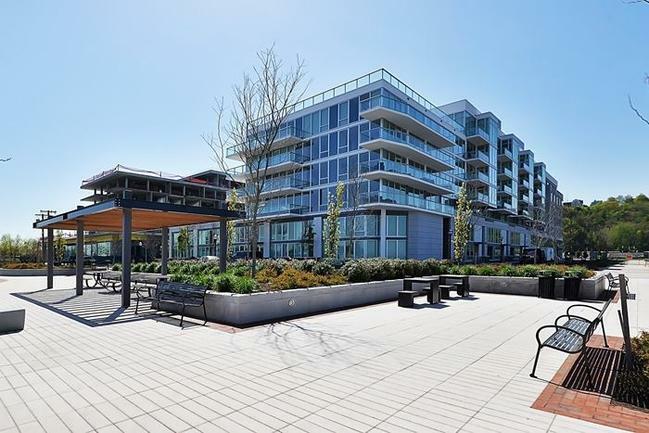 legant 3-bedroom unit at distinctive Hudson Pointe affords a lifestyle that simply exceeds expectations. Direct-east exposure saturates this serene corner home w/natural light and provides extraordinary skyline views. Two Juliette balconies. Gorgeous and glossy HW floors. Stunning granite chef’s kitchen appointed with Viking and Sub-Zero SS appliances. MBR with WIC and pristine en suite. Gorgeous town home with direct Hudson River and NYC view all the way from downtown to GWB. 3 bedroom and 2.5 baths with 2146 sq ft. 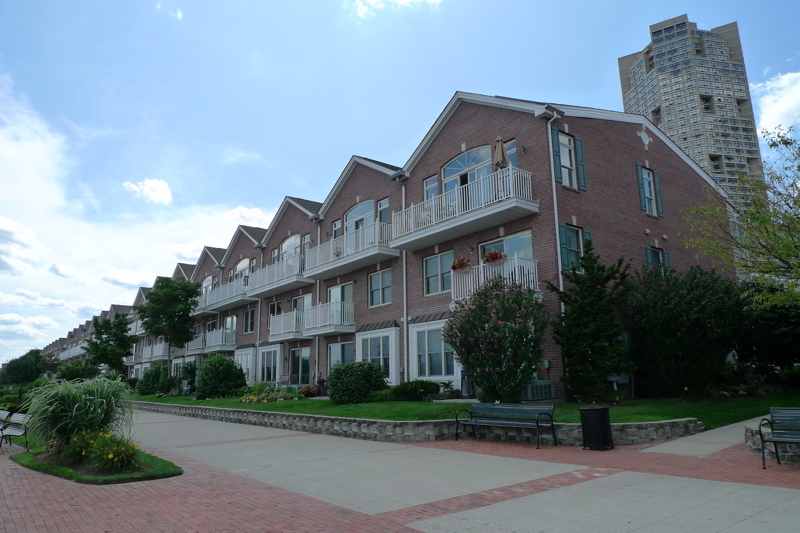 This south and east facing corner unit is one of the best in the community. Newly renovated. Brand new kitchen with stainless steel appliances. Entertainment space with integrated 5.1 speaker system and electric fireplace. Large windows and balcony offer breathtaking views of NYC skylines. Master bedroom boasts alcove molding with LED lighting, large walk-in closet space, and en-suite master bath with new Jacuzzi tub and skylight. Two more bedrooms and a full bath in a separate level provide ample private space. In-house laundry room with brand new washer and dryer. Private elevator. Fantastic Falmouth Unit! 2 bedroom/2.5 bath duplex with 1450 sq. ft. of open living space. Come home, relax and enjoy the peaceful, serene water views and magnificent sunsets from your private terrace – what more could you ask for!? Cathedral ceilings, fireplace, hardwood floors, central AC/heat, and covered parking for 2 cars are just a few of the features this lovely home offers. Harmon Cove I is a beautiful community with many amenities including 24hr security, pool area with clubhouse w/kitchen/bar, play area, basketball/tennis courts and marina, to name a few. This Luxury Town home has an open living and dining area with hardwood floors. The kitchen has 2 pantries, granite counter tops and stainless steel appliances. The master bedroom has a walk in closet, a master bath with separate shower and soaking tub. There is a second bedroom, which has plenty of sunshine, This unit also has a large den with a patio. Plus a 1 car garage, laundry space and walking distance to the light rail. 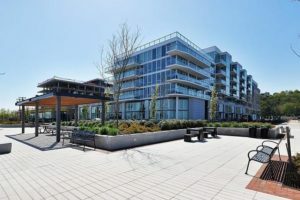 Amenities include a swimming pool, cabana, recreational facility, public waterfront walkway, and a Boatworks Marina leases boat slips to the public. Beautiful NEW 3 Bedroom townhouse E has LED lighting, a custom speaker system, and NEST thermostats. Open floorplan and Designer kitchen with professional grade appliances – SUB ZERO FRIDGE AND WOLF OVEN. Custom ceilings with LED lighting in every room. Each room has custom closets for maximum organization.Master bedroom has river views and a spa-like en suite. Top floor features a family room with a wall of windows showcasing the view of the George Washington Bridge. How does your home compare to the ones listed above? My team and I can help you earn top dollar for your condo. We have a number of resources tailored to selling luxury condominiums, from up-to-date sales data for condo buildings throughout Hudson County to a complimentary market analysis for your unique property. All of these are free because we want to see you reach your full potential and find success in the Hudson County real estate market.